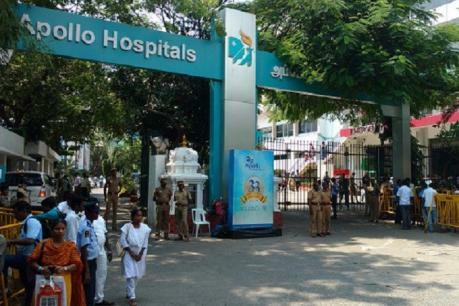 The Apollo Hospital has ordered a compensation of Rs 57.74 lakh in the patient's death. People from Odisha State Bejijapur Their son, Abanikumar, was working at Chennai Reddy Laboratory in Chennai at a salary of 30 thousand rupees. His friends and parents have been informed that his condition is bad, as he was admitted to Chennai Apollo Hospital on October 15, 2003 due to hemorrhoids. His parents refused to allow him to see him and said they had a ventilator and anesthesia. But on November 2, anesthetist and cosmetic specialist said that a sudden heart attack and stroke occurred. He then claimed that he had died at 1 pm, without treatment. They have collected 3 lakh rupees for 15 days of treatment. The hospital's service is defective for her son's death and the neglect of the doctors. So, the Tamil Nadu State Consumer Consumer Dispute Reduction Court in Madras demanding a compensation of 96 lakh rupees. The case members of the case were K.Baskaran and SM Murugesan. At that time Avani Guru had been reported to have suffered a sudden stroke and a heart attack and that he had not been affected by it. Furthermore, it was reported that there was no medical care or lack of service. Members also examined the documents by listening to bilateral arguments. When Abani Kumar was diagnosed with a heart attack, what kind of treatment was given and the hospital did not fully prove the details of why the anesthetics were given. The hospital and the doctors decided to cause the death of Abaniakum. So ordered the Apollo Hospital and two doctors to compensate her family.